Website price lists organized by topic are also available, including price lists of Slania-engraved stamps. Downloadable and printable (PDF files) price lists are available here for all-Scandinavia and the individual Scandinavian countries. They include virtually everything on the website, but do not contain images. Printed price lists sent by postal mail are available here for the individual Scandinavian countries. They include virtually everything on the website, but do not contain images. Åland NEW ARRIVALS: New in stock, usually one of a kind; get them before they are gone. The complete price list of all conditions and qualities currently in stock. Danish West Indies NEW ARRIVALS: New in stock, usually one of a kind; get them before they are gone. The complete price list of all conditions and qualities currently in stock. This list is probably the most comprehensive such list on the web, with up to three levels of condition (never hinged, mint hinged, and used) and up to five levels of quality for each item. There are over 5000 priced listings. 99.5% of the stamps have illustrations. Denmark NEW ARRIVALS: New in stock, usually one of a kind; get them before they are gone. 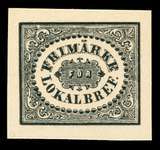 This section just started, but a wide range of styles, types, and on different stamps. Faroe NEW ARRIVALS: New in stock, usually one of a kind; get them before they are gone. Faroe Stamps: 1919 Provisionals Including Faroe #1 overprint. Faroe Stamps: WWII-era Provisionals Including Faroe #2-6 overprints. The complete price list of all conditions and qualities currently in stock. This list is probably the most comprehensive such list on the web, with up to three levels of condition (never hinged, mint hinged, and used) and up to five levels of quality for each item. There are over 6400 priced listings. 99.5% of the stamps have illustrations. Finland NEW ARRIVALS: New in stock, usually one of a kind; get them before they are gone. Nice looking stamps with small faults at bargain prices. Many pages. Finland Covers: More than 62 pages, including all the different stamp issues, Semi-Postals, Airmails, WWII-Era, Registered, Arctic, Railway, Lost Territories, Meters, Machine Stamps, Post Card uses, Airmail Rates, and Advertising. Also be sure to see the Various & Unsorted Covers section for hundreds more covers. Many pages of postmarks include an excellent range organized by type of postmark, mail service such as railway, stamp issue, Lost Territory cancellations, and foreign cancellations on Finnish stamps. More is being added all the time. Greenland NEW ARRIVALS: New in stock, usually one of a kind; get them before they are gone. The complete price list of all conditions and qualities currently in stock. This list is probably the most comprehensive such list on the web, with up to three levels of condition (never hinged, mint hinged, and used) and up to five levels of quality for each item. There are over 3600 priced listings. 99.5% of the stamps have illustrations. Nice looking stamps with small faults at bargain prices (18 pages). Many Sections including by stamp issue, Military, Frama, Christmas Seals on Cover, etc. Many pages of unusual varieties, including plate varieties, watermark varieties, and overprint varieties... as well as simply nice examples of the stamps. Iceland Labels: Advertising, Stamp Show, etc. Norway NEW ARRIVALS: New in stock, usually one of a kind; get them before they are gone. 57 pages of postmarks have been added with an excellent range of 3-Ring Numerals, Single-Ring Towns and Double-Ring Towns, 4-Ring Numerals, Railways, Ships, Colored, and more. Listed both by Stamp Issue and by Postmark Type. Several pages of nice looking stamps with small faults at bargain prices. A wide range of covers organized by stamp issue, type of mail service, postal markings, etc. More than 63 pages of listings and more added regularly. A wide range of stamps, organized by stamp issue, including color varieties, plate varieties, blocks, unusual postmarks, etc. More than 32 pages of listings and more added regularly. Listings of Scandinavia-wide issues. For specific country listings, please see above. 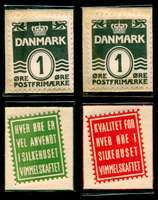 Scandinavian Year Packs including the items that the post offices failed to include in the year packs. Scandinavian Tourist Stamps Read the full story and see the pictures of these very unusual stamps.